Cupid’s big day might be over, but the good news is we’ve planned a month-long love fest here at The Grounds. Scroll down for all the details of our laneway installation & offerings. Love is in the laneway! 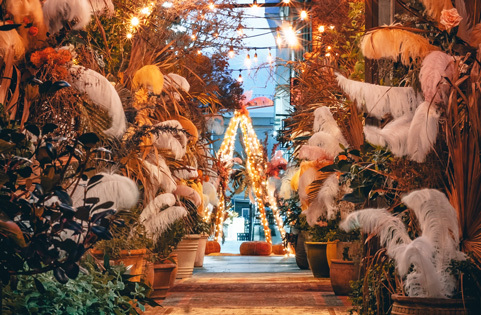 Introducing our Valentine’s Day installation, a dreamy journey of bohemian vibes, brought to life with an abundance of natural elements, wild flowers, eclectic rugs, fairy lights and lanterns. Our Installation is open for all to explore through The Grounds, from 7am-9pm daily. Looking for love at first slice? 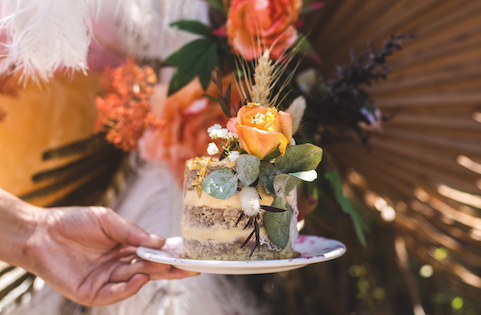 Designed for 2 to share, try our raspberry sponge cake, layered with raspberry confit, lychee cream cheese and lychees, finished with semi-naked buttercream icing, a fresh peach rose and dried florals. Available in The Cafe until Sunday 10th March, or order online here. Not sure how to ask that special someone to be yours this Valentine’s Day? 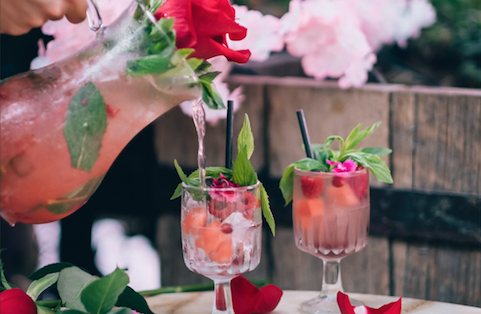 Introducing our “Be My Valentine” sangria jug, so you can share the love. Or just drink the whole thing if they say no. A fruity combo of rosé, watermelon, raspberry and mint. Available in The Potting Shed until Sunday 10th March, 25.0.